Making a hollandaise sauce can be quite daunting but if you follow these very simple steps, you can make this champagne hollandaise sauce for a special occasion. be prepared to whisk and whisk and whisk! I use Dave to help me when I am making this for breakfast, but if you are going to be making the hollandaise sauce alone then get the hollandaise done before you poach your eggs. You cannot place it back on the heat which is what the jug is for. As soon as it is the right consistency, tip the water out of the jug, give it a quick dry and place the champagne hollandaise sauce into the jug. It will still be perfect in the time it takes to toast your muffins and get the eggs poached. Oh now this sounds delicious! I haven’t made Hollandaise in so long! I am now going to follow you via Bloglovin, because it seems I’ve been missing your delicious posts! Sorry to hear you have been missing my posts! this hollandaise sauce is fancy! Sauce looks beautiful and I sincerely appreciate the step-by-step recipe like this. I have never attempted it and I will try it all because of you. Please let me know if you get stuck at any stage! Such a fan of Hollandaise, Benedicts, smoked salmon/gravlax—and Champagne—that I had to pin this one for use *and* fandom! 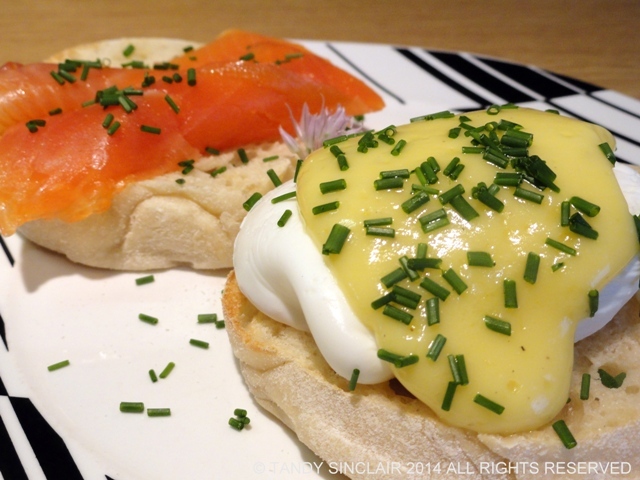 I love hollandaise sauce – what a fantastic idea using champagne. Now that is the way to start the day…very special.